Hooray!! 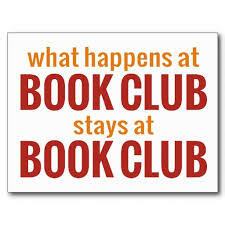 The kids are back in school which means BOOK CLUBS will be starting back up. If you are in a Book Club and interested in a great little book to kick off your reading endeavors, please consider Divorcing A [ _______ ]. Email angie@divorcingablank.com your request and I will get a stack of them to you. Please share this exciting offer with all your favorite friends. Hurry ... this is available while supplies last.